While delivering one of my recent classes on Advance VMware vSphere, I came across a lab based question wherein one of the participant was really interested to see the live demo doing the configuration and see the working of ESXi dump collector service. I managed to take the screenshots when proceeding further with the configuration of the same and thought of dedicating a blog post talking about the concept behind ESXi dump collector service. 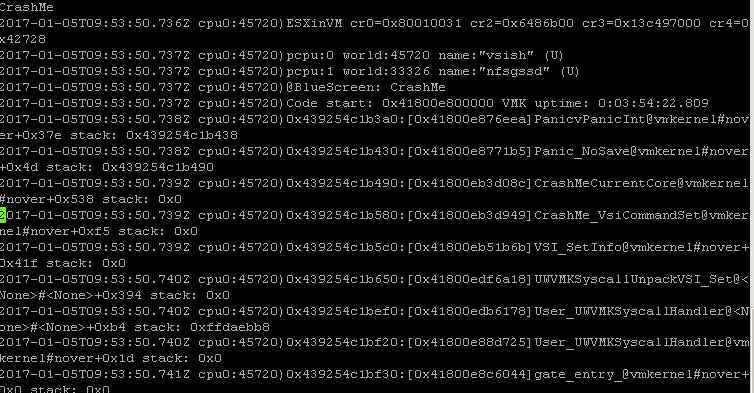 ESXi dump collector sends the state of the VMkernel Memory which is core dumps to a network server whenever the ESXi host systems encounters a critical failure. In this rare event when ESXi host experience an error from which it is not able to recover the ESXi hosts displays a purple diagnostic screen aka PSOD and save the contents as core dump, these core dumps are important when it comes to troubleshooting the issue which made the ESXi host to show a purple diagnostic screen. Whenever you see a PSOD it's always good practice to take the screenshot of the same as the information that u might see could be similar to the one you are going to find in the core dumps and other important reason is related to network connectivity issues which may not allow the ESXi host to save the dumps over the network. As we can see from the above screenshot which was a forceful purple screen of death caused by connecting to the ESXi host and running few commands so as we can test whether the dump collector service is working properly and receiving the core dumps. Well to test whether the dump collector service is working properly or not we may not require a forceful PSOD as we can go it simply by running few ESXCLI commands, but to check the core dumps and read the information from them we need to go with the same. First thing first login to your vCenter Server appliance using web client and start the dump collector service listed under and specify the max size of repository. Time to configure ESXi host through command line so as it can send the core dumps to the vCenter Server appliance which in our case is acting as network server configured to receive the core dumps. Connect your ESXi host through Putty after enabling the SSH on your ESXi host and run below commands. 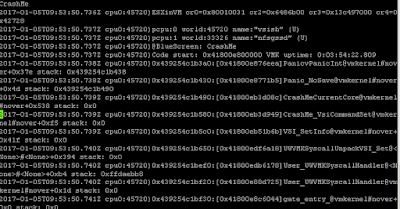 esxcli system coredump network get which gives us information about the current status of our ESXi hosts. esxcli system coredump network get to check if there is any change in the configuration which we have seen above,i used two different ESXi hosts in my environment so don't get confused if see the root login on ESXi01 and ESXi02. As highlighted earlier we need to verify if the syslog collector network service is working properly or not and for that we don't need to forcefully bring PSOD ( i did it to show the coredumps details to my participant ) we can simply run below command which help us to identify if the configuration we have doing so far is completely done or not. Note - The above entries are before we forcefully crashed the ESXi host and below entry is the one which shows post results. Which shows a new entry has been added giving us the location for coredumps i.e var/core/netdumps/ffff/172/20/10/52/zdump_ffff.172.20.10.52-2017-01-05-09_53-0 and helps us find the reason behind this purple screen of death was crash command that we executed on our ESXi host. 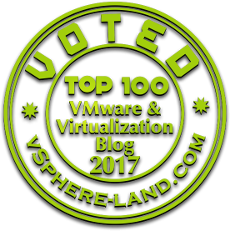 VMware vSphere 6.5 "The Respective Client's"